On a recent visit to Utah I had a chance to spend some time in Zion National Park. 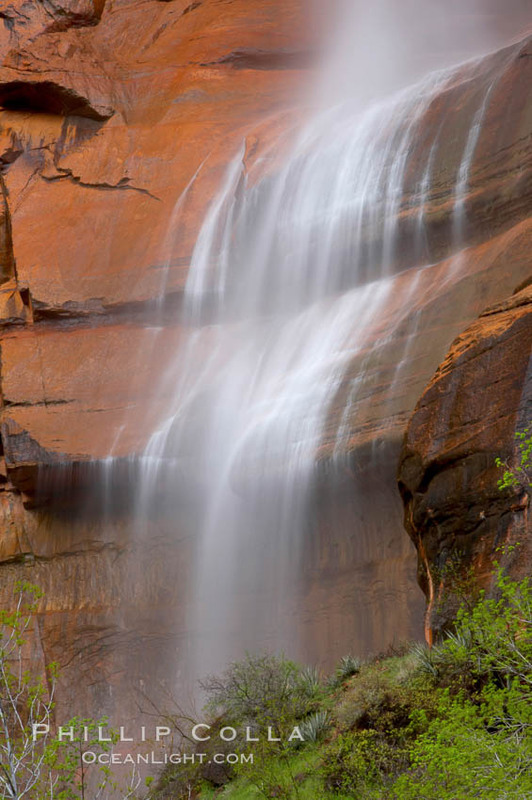 A number of ephemeral waterfalls were flowing, the result of rainstorms that had passed over Zion Canyon a few days before. 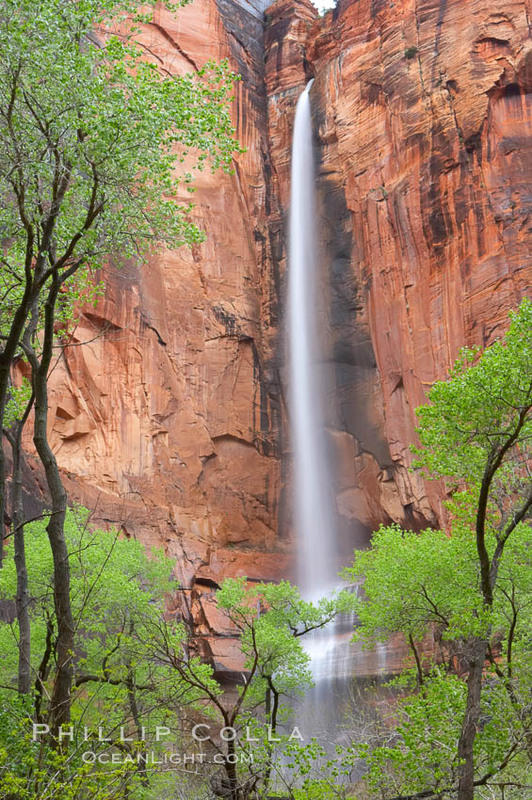 The Temple of Sinawava, a widening in Zion Canyon at the end of the paved road, featured a fine waterfall that I am told is typically dry but which had been seen most of the past winter and spring due to the amazing amounts of rain southern Utah has seen this year. That same morning I photographed two other emphemeral falls above nearby Weeping Rock. My tram driver informed me that those two almost never flow and that they were due solely to the rain that had fallen the preceding night and not to any snow melt, and that they would be dry by afternoon. Heavy cloud cover allowed for a long shutter speed, softening the appearance of the falls and accentuating the color in the rain-slicked red sandstone cliffs and cottonwood trees. 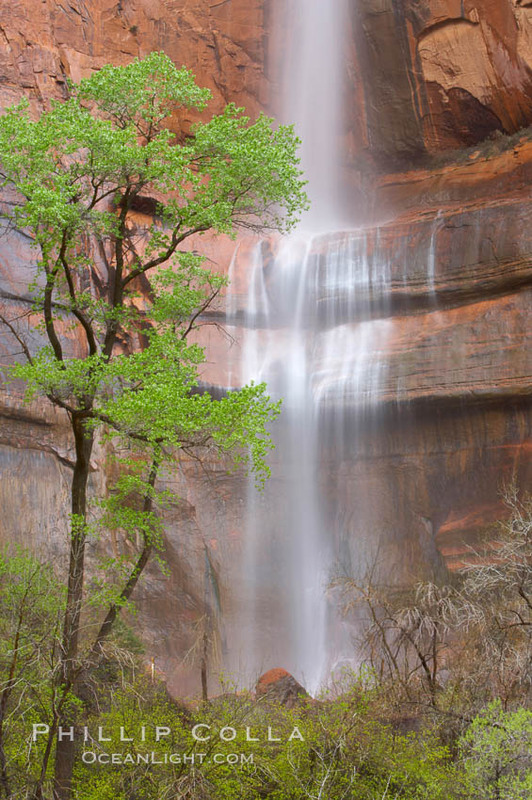 Keywords: Zion National Park, Temple of Sinawava, Waterfall.